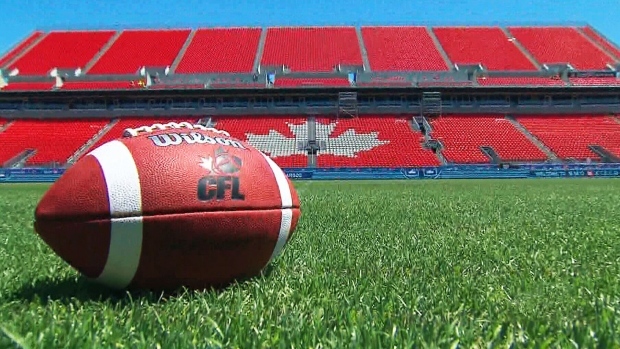 Government House Leader Todd Smith said the Progressive Conservatives will provide more details on the proposal to legalize tailgate parties -- normally held in the parking lot of a sporting venue before a game -- when the provincial budget is unveiled Thursday. "We think that people in Ontario should be given the opportunity to be treated like adults and I think it would be kind of fun," he said. "We've been talking about it for years and years and years and no government has ever given us the opportunity to engage in a good old fashioned tailgate." "It's going to be up to individual teams and whether or not they want to partake in this type of festivity," Smith said. "It's a lot of fun. People behave responsibly. We just believe that Ontario is ready for this as well." The opposition parties questioned the timing of the announcement, which comes one day after thousands of teachers and supporters descended on the legislature over the weekend to protest education changes, including larger high school class sizes. "I don't know if it's a bad idea, but should they be looking at it as one of their priorities?" he said. "Are they actually looking at it as something they want to do or are they just using it as a decoy from the real issues that people in this province are actually facing?" "I'm not sure whether this is a tactic to divert the public's attention away from those really important things," he said. "It's just interesting in advance of the budget. If the government wants to bring this forward, that's great. It's not a budget item."